Have you heard of the greatest band ever, also known as The Beatles? The Beatles were an English rock band. They began as John Lennon’s band in 1956, with the name of The Quarrymen. They went through many name changes from The Quarrymen to Johnny and The Moon Dogs, to The Silver Beatles. By 1960, John Lennon, Paul McCartney, George Harrison, and Ringo Starr formed the Beatles in Liverpool, England. The Beatles had numerous hits, many of which were love songs. 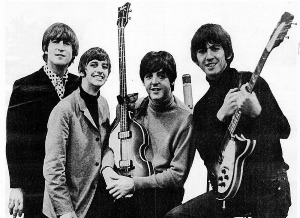 Although their first single was “Love Me Do,” the Beatles didn’t really become popular until their single “Please Please Me” topped the British charts. The Beatles' first album shared their single’s name “Please Please Me." The Beatles toured Europe performing in Scotland and Germany. After many hits, The Beatles broke up in 1969. They broke up for many reasons, including the death of their manager, Brian Epstein in 1967. Another was that they all had different artistic visions. One more reason is that both George Harrison and Ringo Starr temporarily left the group at various points during 1968–69. By 1970, all four band members had begun working on solo projects. In 1980, John Lennon was shot and he died in New York. George Harrison died of lung cancer in 2001. Ringo Starr and Paul McCarty are only the living Beatles. Although The Beatles' end was tragic, their music made a huge impact on the rock ´n´ roll genre and continues to influence modern music.